HOUSTON, TX (October 3, 2018) – Stress Engineering Services, Inc., (SES) the global leader in consulting engineering services, has delivered a state-of-the-art real-time drilling riser and wellhead monitoring system (RFMS®), in conjunction with its Condition Based Maintenance (CBM) process for Noble Corporation’s ultra-deepwater drillship Noble Tom Madden. The RFMS provides dynamic subsea measurements with a high degree of reliability for the drilling riser and wellhead systems. By precisely recording the motion of the drilling riser, wellhead and casing system at discrete points in a time synchronous manner, fatigue damage of these components are determined and actionable information on the health of the drilling riser, wellhead and casing system can be delivered to the rig crew. SES’s CBM process supports structural integrity evaluation and maintenance assessments of drilling risers to assess the condition of drilling riser joints, determine when important components will need service or replacement and assess the remaining life of the component. This process is function-based on a tailored period, rather than time-based, improving performance economics for operators throughout the industry. For this project, a life cycle CBM system will be deployed and performed on the MODU. Since 1972, Stress Engineering Services, Inc. has been a global leader in consulting engineering services and solutions for a variety of industries. Stress Engineering Services is committed to providing the most comprehensive design, analysis and testing services with an unsurpassed level of engineering integrity and skill. The company’s multi-disciplinary engineering methods, advanced technology, innovative applications and highly knowledgeable and experienced staff provide proven, quantifiable benefits to its worldwide portfolio of clients. Stress Engineering Services is headquartered in Houston, with offices in Cincinnati, New Orleans, Calgary, and Singapore. For more information, visit www.stress.com. 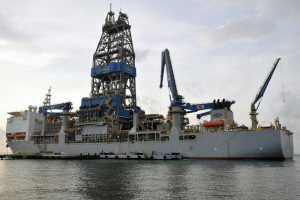 Noble is a leading offshore drilling contractor for the oil and gas industry. The Company owns and operates one of the most modern, versatile and technically advanced fleets in the offshore drilling industry. Noble is a public limited company registered in England and Wales with company number 08354954 and registered office at 10 Brook Street, London, W1S 1BG England. Additional information on Noble is available at www.noblecorp.com.